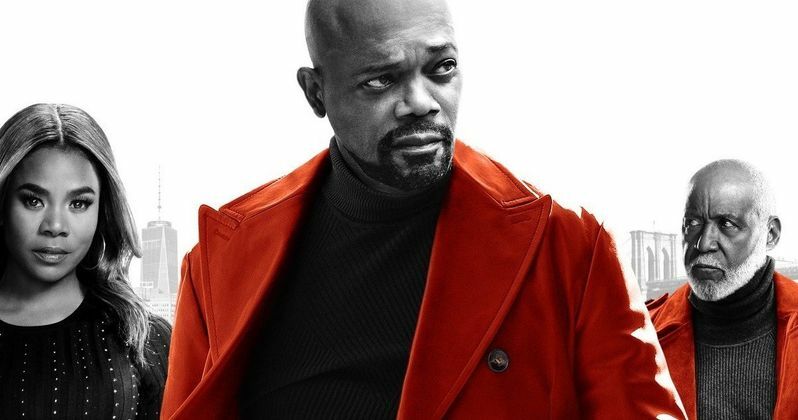 Samuel L. Jackson returns as John Shaft II, who made his debut in the 2000 live-action movie, alongside original Shaft star Richard Roundtree and franchise newcomer Jessie T. Usher (Independence Day: Resurgence), who plays the estranged son of Jackson's character. Regina Hall (Girls Trip), whose character hasn't yet been revealed, is also featured. The poster is open and stark, with each character sporting an item of red clothing to make it realliy pop. Alexandra Shipp (X-Men: Apocalypse) will be joining in on the action. But we'll surely be seeing her in the trailer. Richard Roundtree, meanwhile, originated the character back in 1971, who went on to star in several movies and a short-lived TV series for CBS. This new movie comes from director Tim Story, who is responsible for the early Fantastic Four live-action movies, as well as the Ride Along movies, is in the director's chair. Also of importance, the legendary Isaac Hayes is returning to provide the soundtrack. Without a doubt, we'll be getting a little taste of what he's cooked up in the trailer. Regardless of how the movie turns out, some new music from Isaac Hayes can't possibly be a bad thing. To go along with the main poster, the studio has also released several character posters with Samuel L. Jackson saying several phrases in character, such as, "What time is it? Time to shut yo mouth" and "I'll avocado toast your punk a**." If that one actually makes it into the movie, this should be a lot of fun. We'll be sure to bring the trailer your way as soon as it's made available tomorrow. In the meantime, be sure to check out the new poster below from the official Shaft Twitter account. Shaft is set to hit theaters on June 14.